A company’s balance sheet (sometimes referred as the ‘Statement of Financial Position’) provides details that include the company’s liabilities, assets and owner’s equity or net worth. Financial statements are typically made up of a balance sheet, cash flow statement and income statement. Investors in companies should understand how to read a balance sheet, how a balance sheet is structured and how to analyse a balance sheet. We will take a look at how you do just this. The balance sheet provides you with the information you need to calculate a large number of key financial figures such as the Equity ratio. A balance sheet comprises two parts, and the sum of these must balance each other out or must equal each other. This means that assets should equal the shareholder’s equity plus the company’s liabilities. The balance sheet gives a snapshot of a company’s financial position at that single point in time. The assets of a company are used to operate the business – they consist of the amount of money initially invested along with any retained earnings. Current assets include those that can easily be liquidised – typically within a year. These assets include cash and accounts receivables, which in turn include products or services that have been sold and are waiting for payment to be settled by clients. Current assets may also include materials owned, such as the raw materials held by a manufacturing company. Non-current (long-term) assets include those that cannot easily be converted into cash or its equivalents – typically taking longer than twelve months. These assets include things such as machinery, computers, land and buildings. Over time, the value of non-current assets is depreciated. Also counting as long-term assets are intangible assets such as brand recognition and good will. On the other side of the balance sheet we have liabilities. Liabilities include any financial obligations that the company has to other parties. They can be long-term or short-term liabilities, and cover things such as accounts payables, borrowing and interest on loans. The shareholder equity is the amount of money that was initially invested into the company. If reinvestments are made, then these too are incorporated in the value of the shareholder’s equity. For the balance sheet to balance, the shareholder’s equity and liabilities must equal the company’s assets. The analysis of a balance sheet is usually conducted by using certain financial ratios: for example, the debt to equity ratio and the activity ratios. From such ratios, investors can gain an insight into a company’s working capital and operational efficiency. For investors, it is essential to know how financially stable a company is and how a company finances itself. This is true regardless of whether you are investing in CFD:s, stocks, digital options, regular options or warrants. 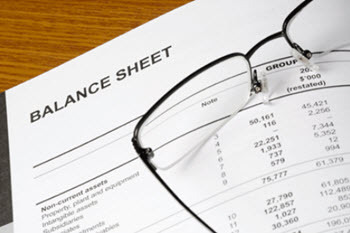 Along with the cash flow statements and income, the balance sheet is a key tool in understanding a company’s position. A snapshot in time, it allows anyone to clearly see the assets, shareholders’ equity and the liabilities of a company. Investors can see what the company owes and owns, all of which is necessary information when it comes to making investment decisions.